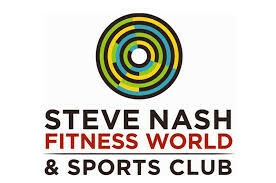 At Steve Nash Fitness World and Sports Club they believe in providing the highest quality service in a fun and friendly environment. Your ultimate destination for an active lifestyle. I thought it would be pretty basic because it's called "classic" but it was pretty complex and very fast. The same routine builds over 5 weeks so I was lucky to show up on week 1! Class started before we all arrived so it was a bit awkward when I got there but after getting into the groove it was a decent class and a good sweat. The instructor was really good and worked us into a good sweat. This Steve Nash location should have towels though, given the full facilities and showers. This turned out to be kickboxing class !!! But A+ workout.